The book of James contains a plethora of information for believers to become mature in their relationships to Christ. This series of five lessons will cover each chapter of James with the goal of outlining how we can become stronger in our faith. In part 1, “Strong and Wise,” there will be an emphasis on trusting God’s plan, persevering through difficulties, and obeying the bible. In addition, several opportunities for the teacher to share how God has worked in his or her life will bring the scripture to life for the children in a practical way. OBJECTIVE: To introduce the book of James and discuss ways to become mature and wise Christ-followers. MAIN IDEA: To become a strong and wise believer, we must trust God’s plan, persevere, and obey the bible. 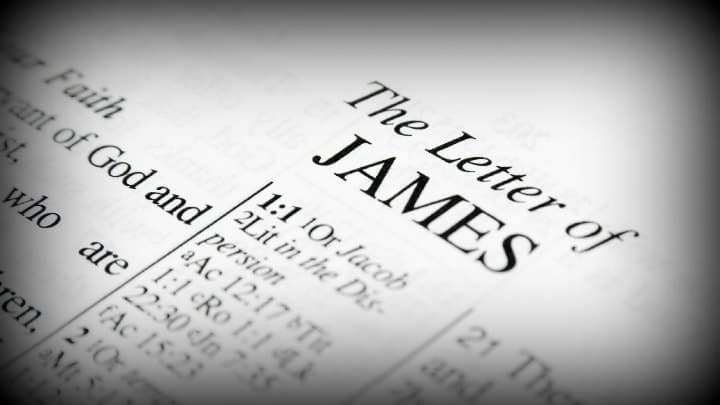 Who was James (a servant of God and Jesus)? Who is to blame for our sin (we are)? What does God consider to be “pure” religion (looking after those in need and keeping ourselves from being polluted by the world)? Read James 1:5-8. Help the children understand the main idea of these verses (if we ask God for wisdom, then we need to believe he will give it to us). Ask, “Has someone ever promised you something and then broken their promise? Well, part of becoming a strong believer means trusting that God doesn’t break his promises even though others do. We can rely on him as the source of true wisdom.” Looking back at verse 8, ask the children to pick out the descriptive words for someone who doubts God (double-minded, unstable). Point out that a spiritually wise person lives their life according to God’s ability to provide, and holds on to that assurance even during hard trials. Tell the class about a time when you trusted God for wisdom through a trial and how he remarkable provided for your needs. Read James 1:12. Ask, “What does it mean to persevere (to continue doing something even when it’s hard)? Trials and hard times will come to everyone, so it’s important to consider how we act during difficulties.” Ask the class to come up with common emotions during difficulties (trials) and write the suggestions on the board. Point out the emotions that can negatively affect our Christ-like influence on others. Admit that it’s normal to be frustrated during a trial, but a strong Christian will remember that it’s not an excuse for misbehavior – God will help us and give us peace during trials when we continually rely on him. Ask, “What will we receive when we successfully ‘[stand] the test’ of trials (the crown of life)? Who is promised that reward (those who love God)?” Tell the children that God allows trials in our lives to draw us closer to him and make us stronger and wiser as believers. Consider sharing with the class about a trial you are currently experiencing and how God is helping you. Lastly, discuss how James (like many other writers in the bible) uses analogies to help explain a topic. Say, “An analogy is when two things are compared so we can better understand the message. See if you can find the analogy in James 1:22-25.” Read the passage out loud and ask for a volunteer to point out the analogy (a person’s reflection in a mirror). Emphasize that knowing God’s word, yet disobeying it, is as silly as looking at your reflection in a mirror and forgetting what you look like! Comment, “We learn from these verses that a strong and wise believer will do what the bible says.” Complete the lesson by outlining the message of salvation for anyone who may not be a believer and allow time for questions. To prepare, use the crown template (see directions) to draw and cut out a crown out of foam paper for each child. Then write, “Crown of Life” across the length of each crown. During class say, “James 1:12 tells us we will be rewarded with the crown of life for persevering through trials (a true sign of a strong believer). We are going to decorate our crowns as reminders of God’s rich rewards for those who trust and obey him.” Allow time for the children to decorate their crowns with markers, stickers, glitter glue, and other various craft supplies. Lastly, help them complete the craft by punching holes in each end and tying an appropriate length of twine so they may wear their crowns. RECAP: Becoming strong and wise in our faith requires trusting God’s plan, persevering through trials, and acting on our beliefs. Tony Kummer (Editor) reviewed & updated this page on : February 25, 2019 at 5:01 pm. All our content is peer reviewed by our readers, simply leave a comment on any post suggest an update.